I’ve always been a gaming fan and kept an eye on the games industry, but the one and only game I’ve written was a silly two player pong game for a just-for-fun class senior year of college (taught by the excellent Joe McKay). So, when my friend Lily asked if I wanted to apply my Android experience to coding a game for the OUYA/Kill Screen CREATE Game Jam, I decided to take a chance on learning a bit more about this whole game programming thing. Lily already had a vague gameplay idea, working title Noah’s Art, where the player would switch color filters which would effect how they could interact with differently colored objects in a top-down world. Her friend Josh joined in to help with gameplay design. I started by researching different game engines for Android. Of the simple open source Android libraries, LibGDX seemed the best maintained, had the most community support, and good 2d support. Then there’s Unity, a very popular commercial library that supports every platform under the sun, is a sponsor of the jam, and looks like it does a lot of work for you if you can figure out how to use it. In the end the deciding factor wound up being the wifi at the coffee shop I was working at on Monday: the 1GB+ Unity download kept getting cut off. I was also concerned about the hefty price tag on Unity, while LibGDX let me avoid those concerns. I started with LibGDX by working through Tamas Jano’s excellent “Getting Started in Android Game Development with libgdx”. After a morning spent kicking the tires on LibGDX I started a new game project with a 720p screen targeting OpenGL 2.0 to match the OUYA’s specifications. Now that I remembered how game loops worked, which LibGDX handles for you by repeatedly calling the render() function on your GameScreen class, it was time to get to work. I easily ripped off the Invaders sample code to draw a temporary background image and rendered a temporary sprite at a fixed coordinate as a stand-in for a game object. Voilà! You’ve got a cursor you can move with the thumbstick. 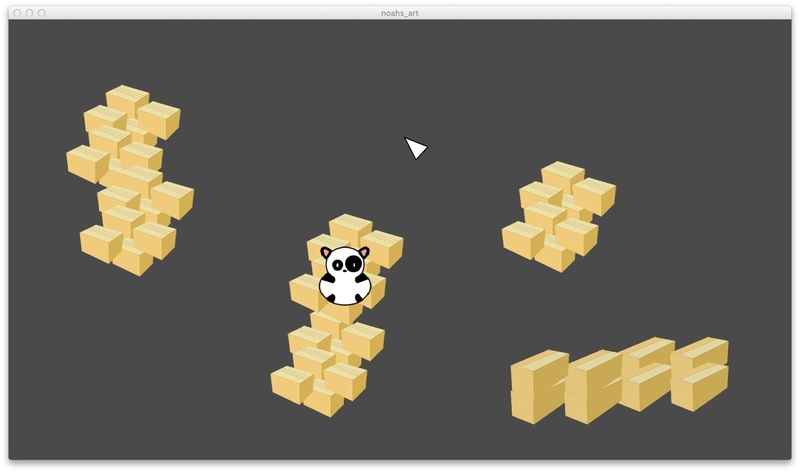 Now, about that fixed temporary game object … tomorrow: things that move! This entry was posted in CREATE Game Jam, programming and tagged android, libgdx, ouya by alexp. Bookmark the permalink.